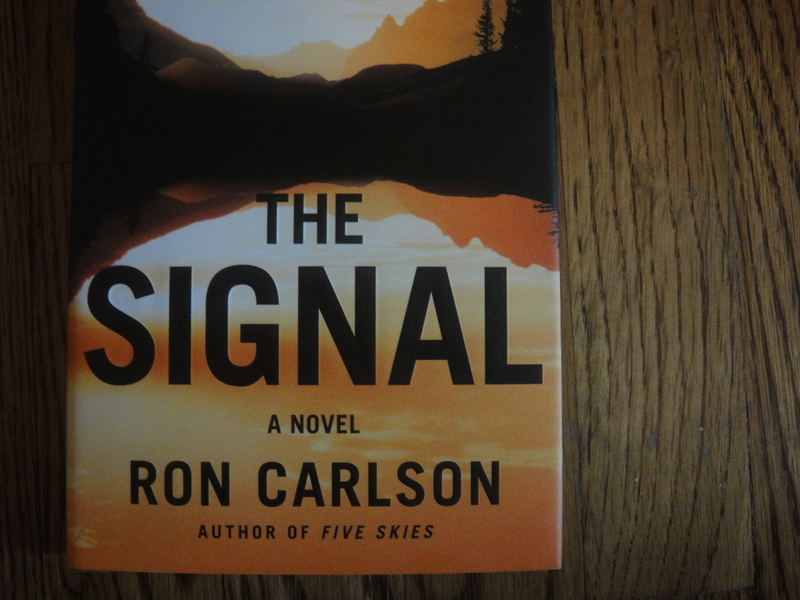 In Ron Carlson‘s new novel, The Signal, a book that includes both clotheslines and abandoned places, each word counts, as each word should but often doesn’t in novels. The Signal packs a lot into its 184 pages: six days in the life of its main character Mack. Its cover looks, as one of my children said, “like a book I wouldn’t read.” I’m not sure whether he meant it looks “sensational” or “like a guy’s book,” but I agree on both counts about the cover, not about what’s between it. In The Signal, it’s a toss-up whether the language or the story is the most alluring part of the novel. Some will argue that there’s too much plot, but in my opinion The Signal offers a brilliant example of plot arising out of character: Mack’s choices drive the plot forward.